Regardless of your house style, window shutters complete the finishing touch to the exterior of a home. It’s easy to add a subtle or dramatic splash of color to frame your windows. Best of all, vinyl shutters are durable, maintenance free and fade resistant. Consider adding a little curb appeal to your home with shutters. The louver design features two rectangular boxes with a gently curved arch top on the upper box. Strong horizontal lines highlight the play of shadow on the louvers. Sizes start at 14-1/2″ x 24″ and range up to 14-1/2″ x 80″. 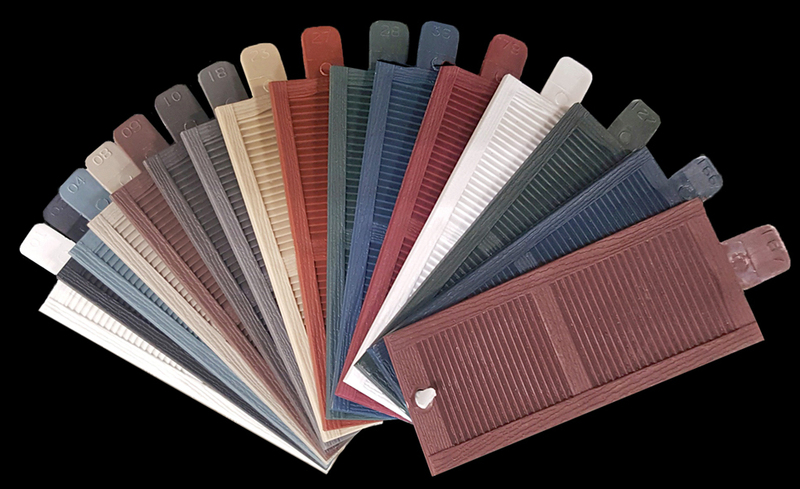 Sold in pairs; these shutters are available in a variety of color choices. 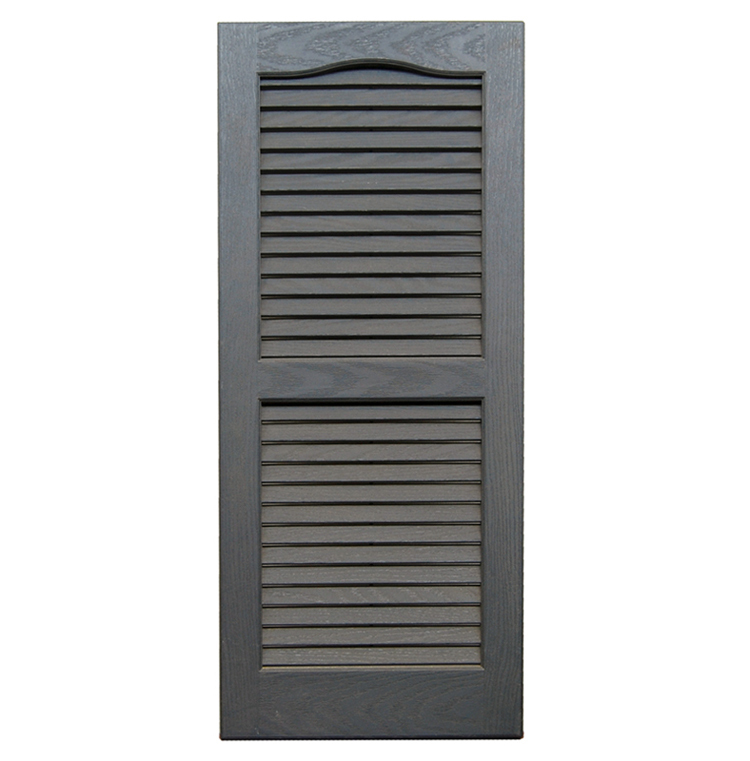 The raised panel shutter has one rectangular box above another and is accented by clean lines. 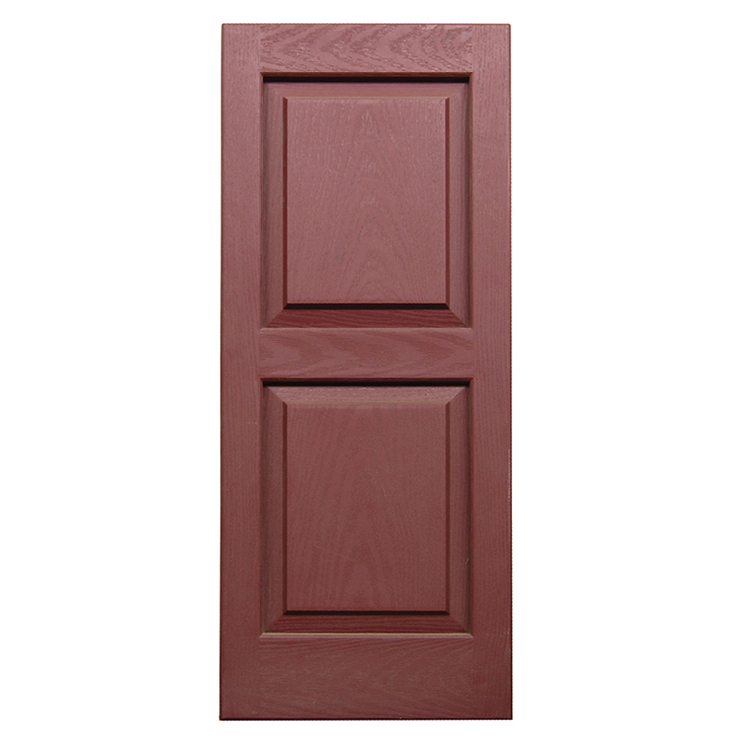 They are 14-3/4″ wide with shutter heights available from 31″ to 80″. 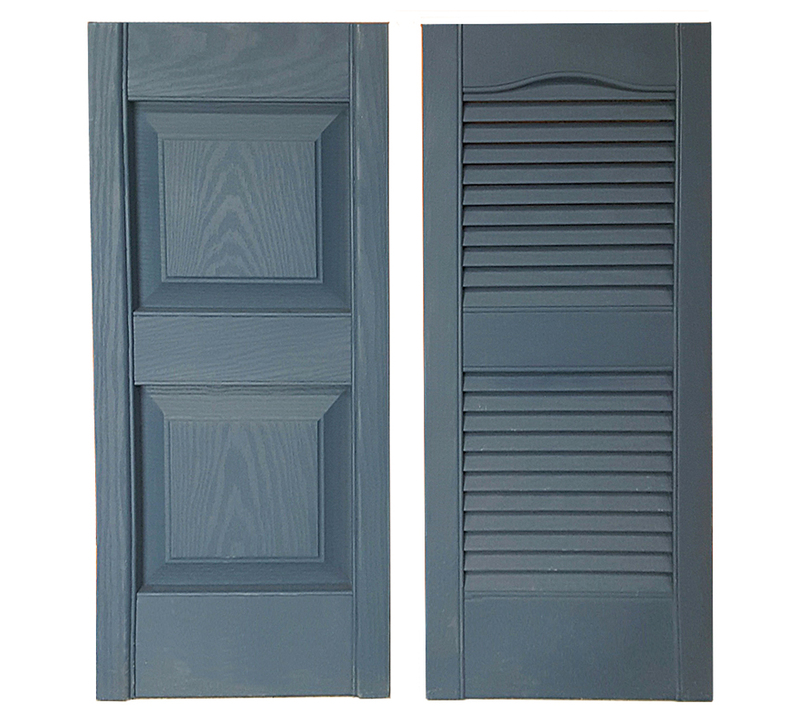 Sold in pairs; these shutters are available in multiple color choices. Shutters are available by special order at Builders Surplus. Just a few days are needed to complete the turnaround time for your purchase. Come in today to talk with our friendly and knowledgeable staff or to place an order for your window shutters.